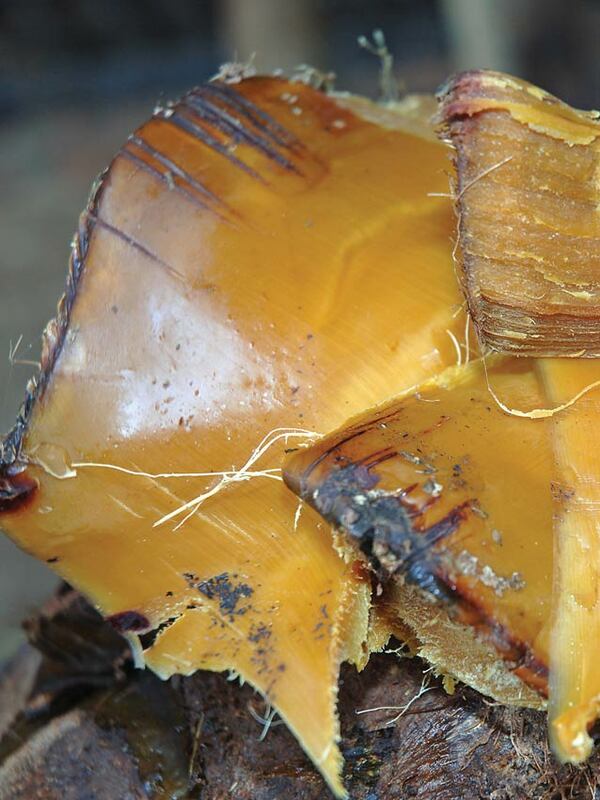 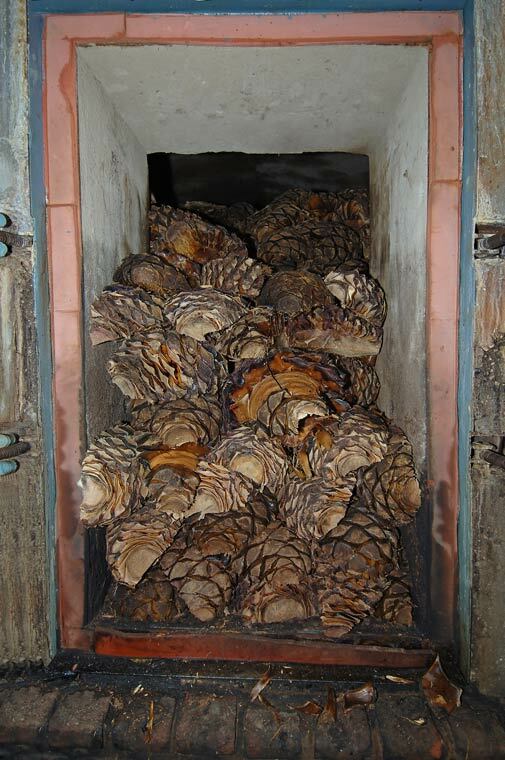 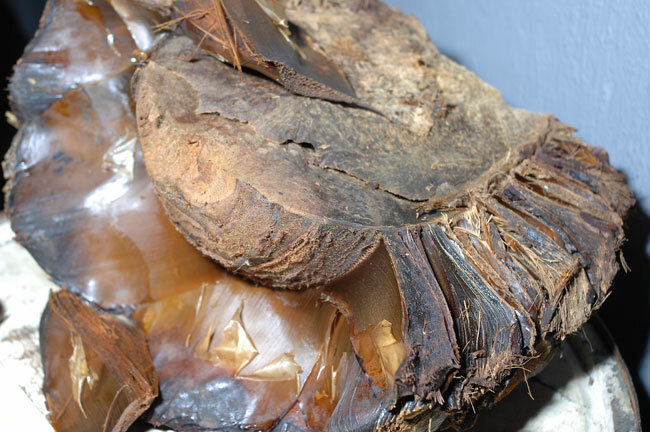 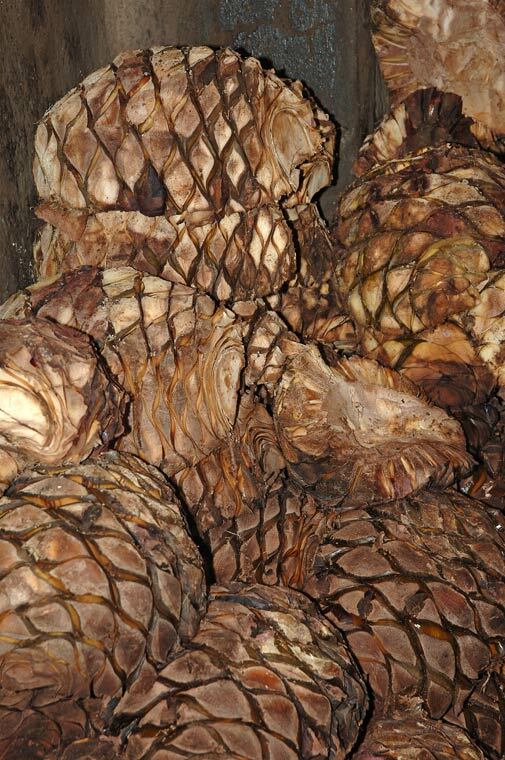 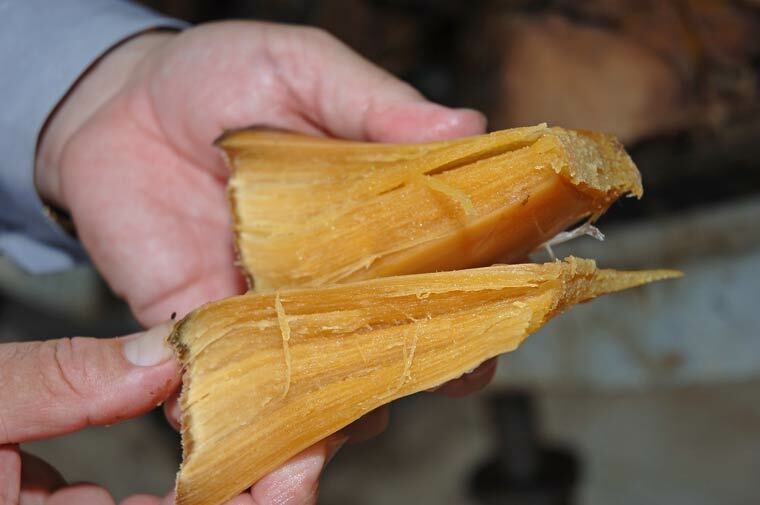 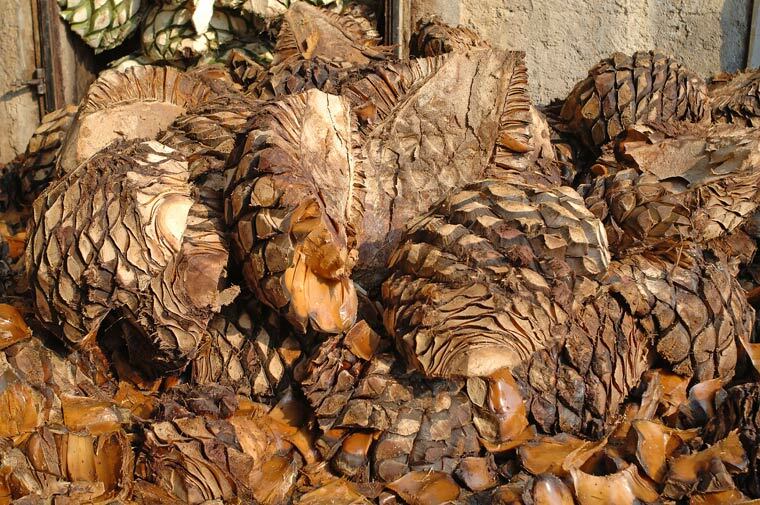 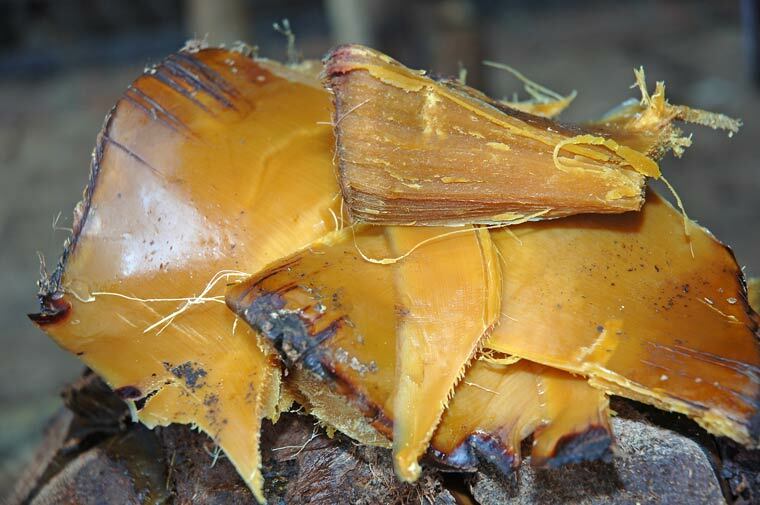 Pictures and photographs of Cooked Agave hearts (piñas) ready for processing. 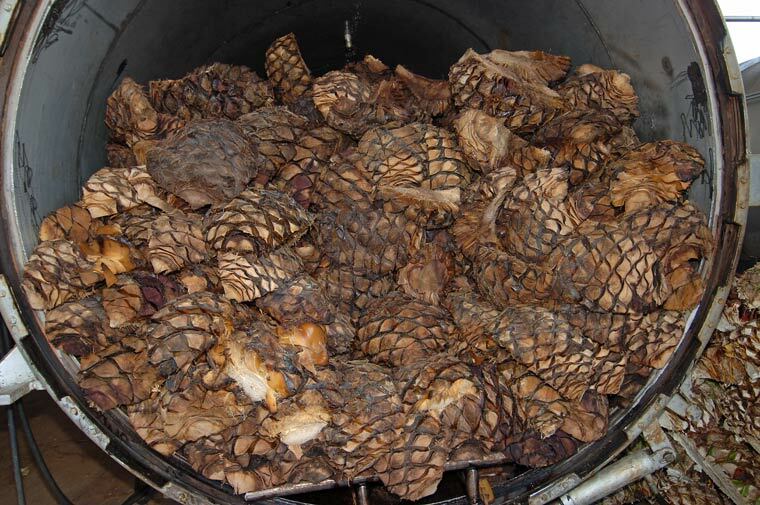 Cooked agave piñas (hearts) in a traditonal stone oven in Jalisco, Mexico. 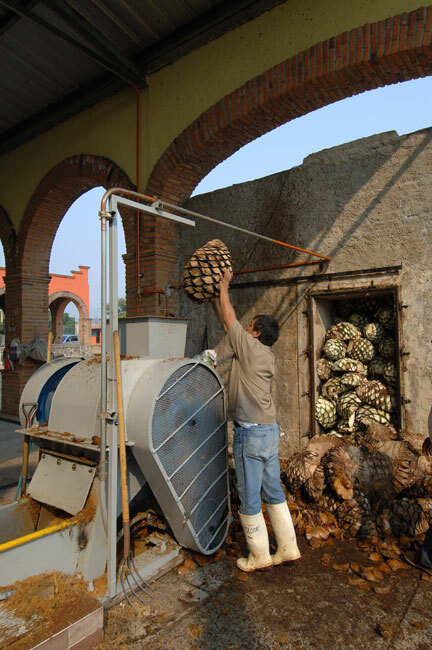 Cooked agave hearts (piñas) in front of a traditional stone oven at Impulsora Rombo, S. A. de C. V. The Impulsora Rombo tequila distillery is located in the small town of Amatitan in the state of Jalisco, Mexico. Note: September 2009 - This image is on display at the Bureau of Land Management visitor center in Red Rock Canyon National Conservation Area in Nevada. 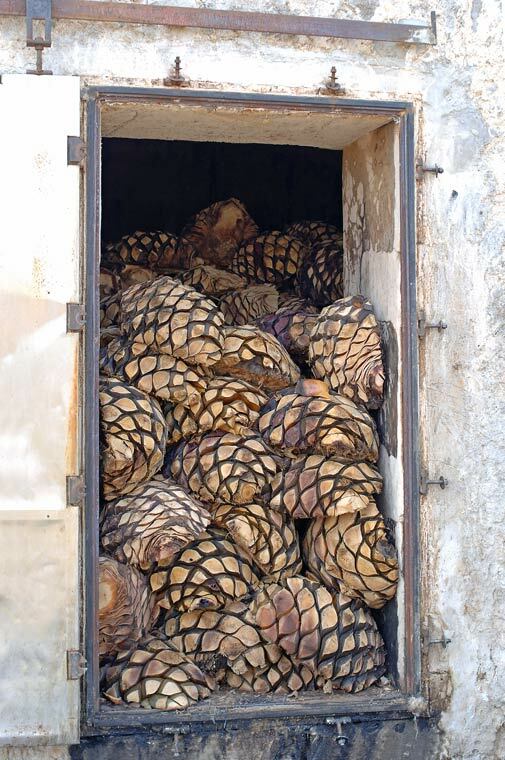 Part of this extensive visitor center includes a section on agave activity in the region. 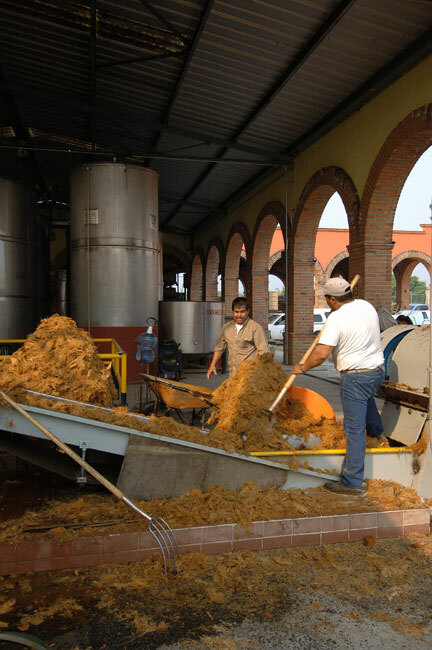 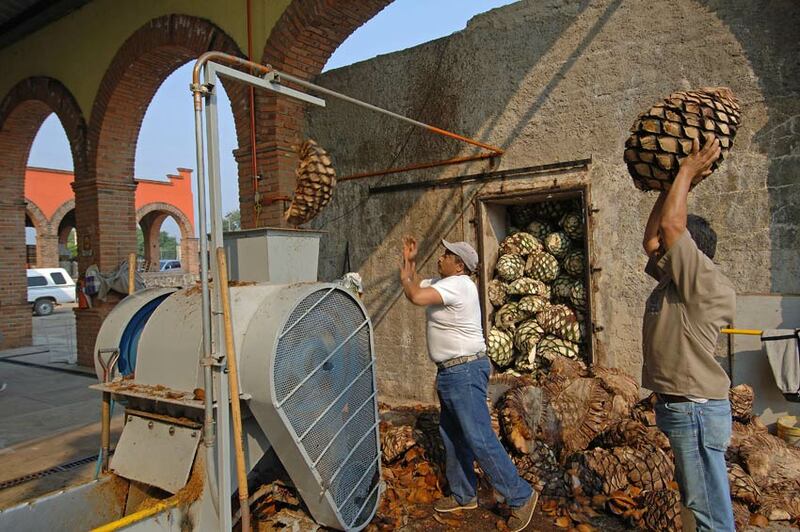 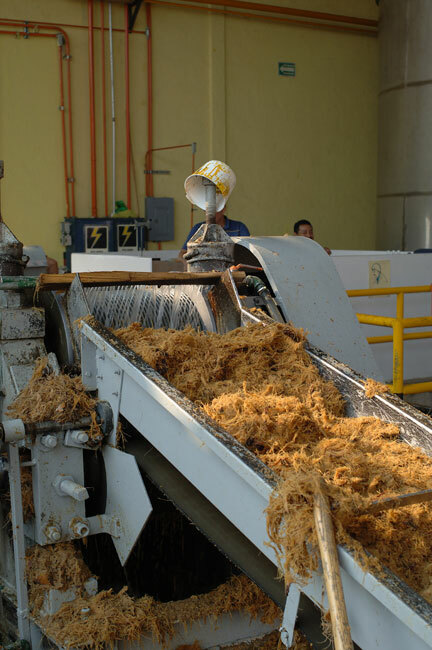 Workers put the cooked agave hearts into a crusher by hand at Impulsora Rombo distillery in Amatitan. 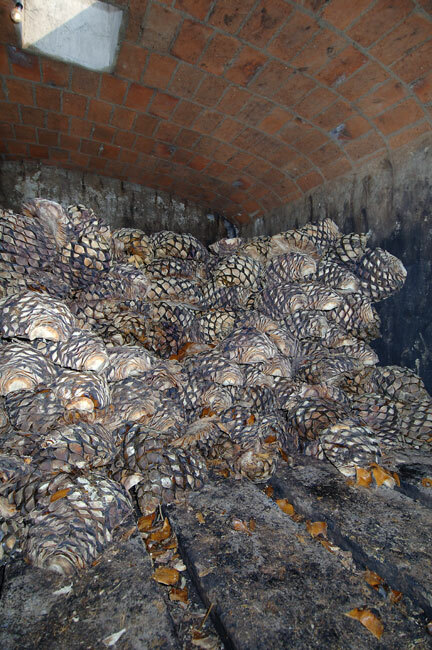 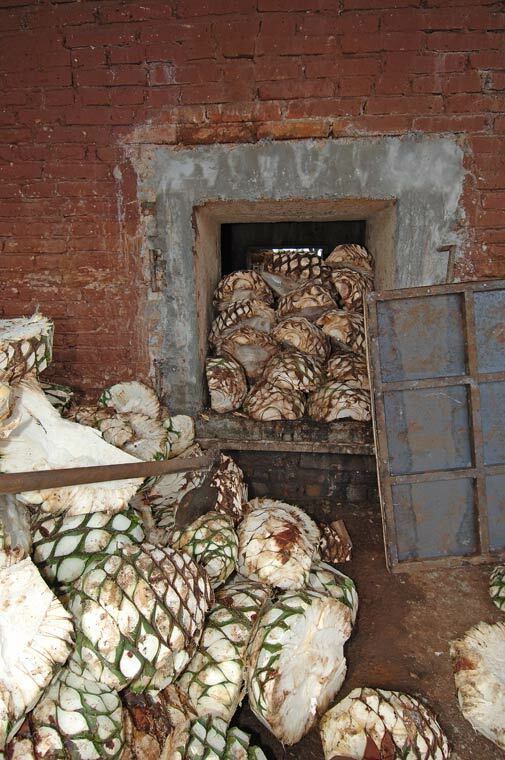 Cooked agave hearts (piñas) inside traditional brick oven used at Fabrica La Alteña in Arandas, Jalisco, Mexico.